Glass worktops have become increasingly popular in today’s modern market and right at the very top of the mountain for bespoke glass worktops is the cracked glass worktop. 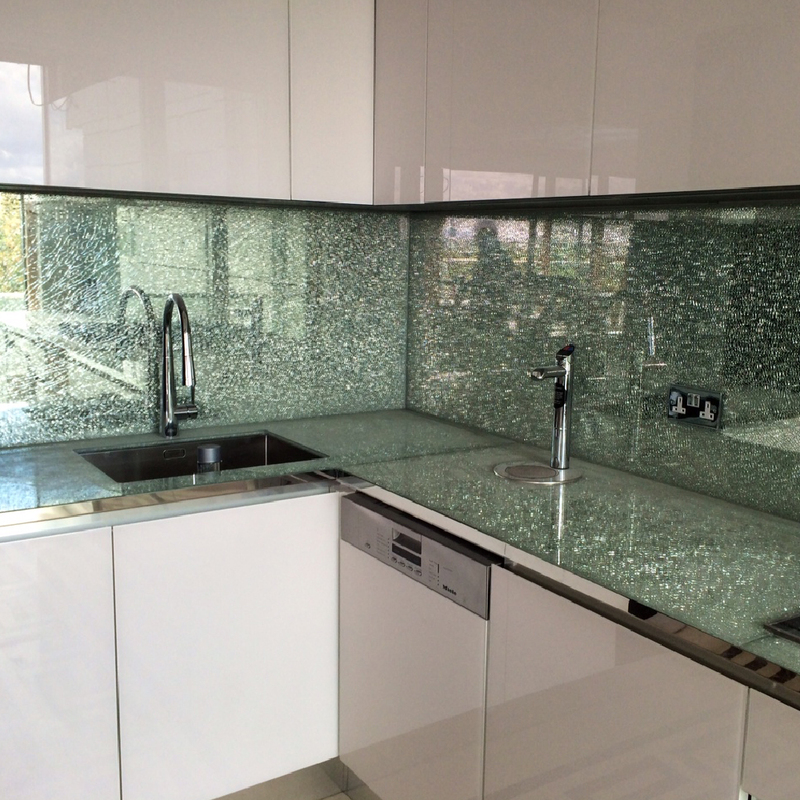 Cracked glass worktops are a stunning addition to the glass worktop market. 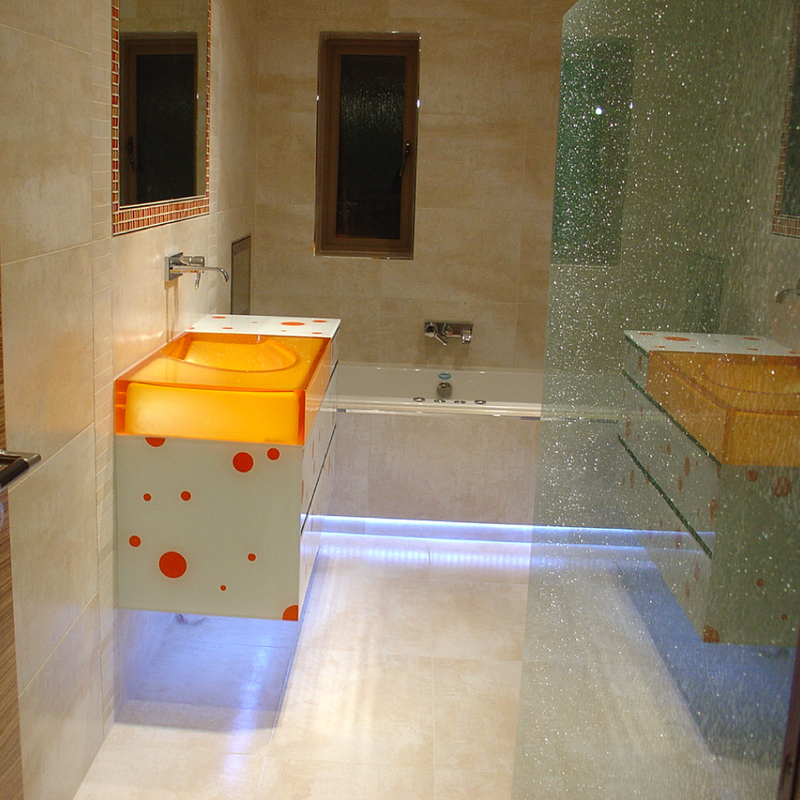 Utilizing 3 sheets of 6mm toughened glass the bottom sheet has a mirror finish applied to it and the middle sheet is then punctured at certain points in order to give the glass sheet an even shatter. The shattered middle sheet is then sealed in with a clear silicone sealant to make it safe for general use. 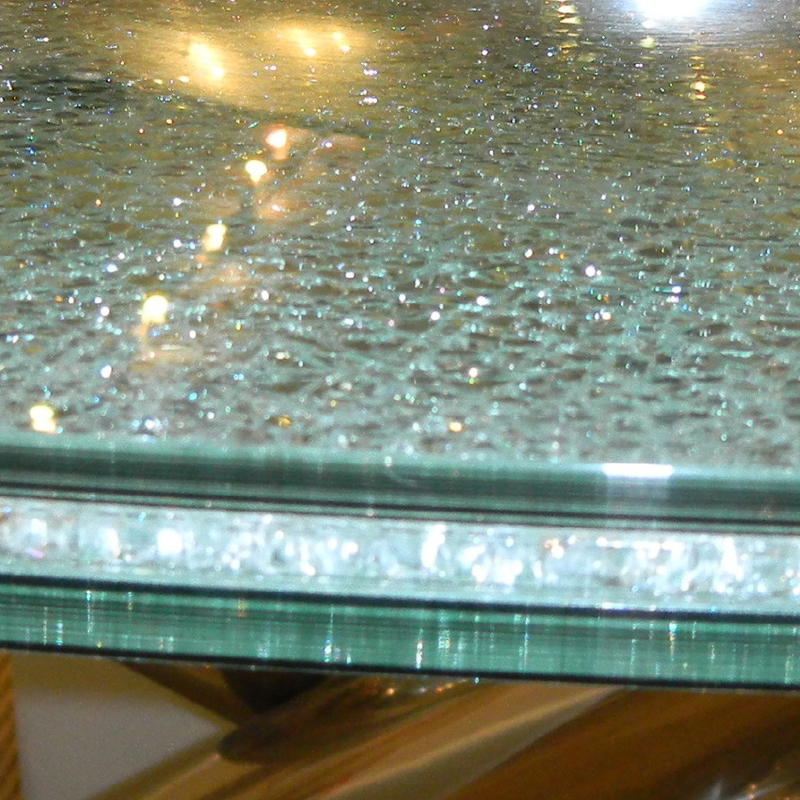 Cracked glass worktops are the height of bespoke glass worktops. If you are not too taken with the mirror effect of the cracked glass worktops then you can always use a coloured paint instead. 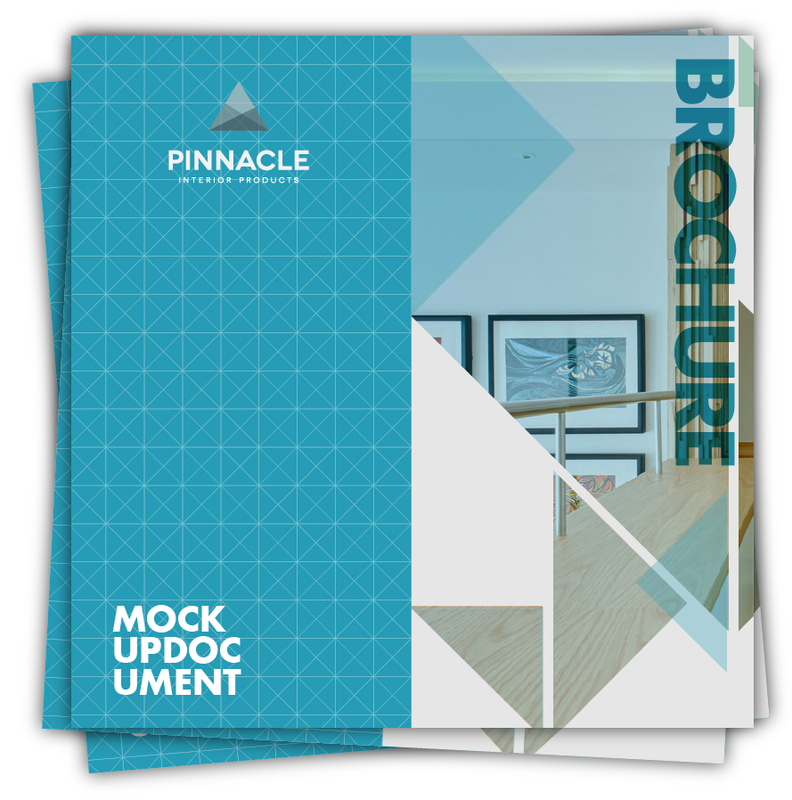 However, you must take note of the fact that without the mirror being applied to the underside of your cracked glass worktop the actual cracked effect will not be as prominent as it otherwise would. With their incredible durability and their extreme heat resistance cracked glass worktops not only look great but they are absolutely perfect for areas of high traffic and heat generation such as your kitchen. With the versatility that glass has to offer, cracked glass worktops can be cut to almost any shape or size in order to suit your needs and can accommodate both under mounted and over mounted sinks. 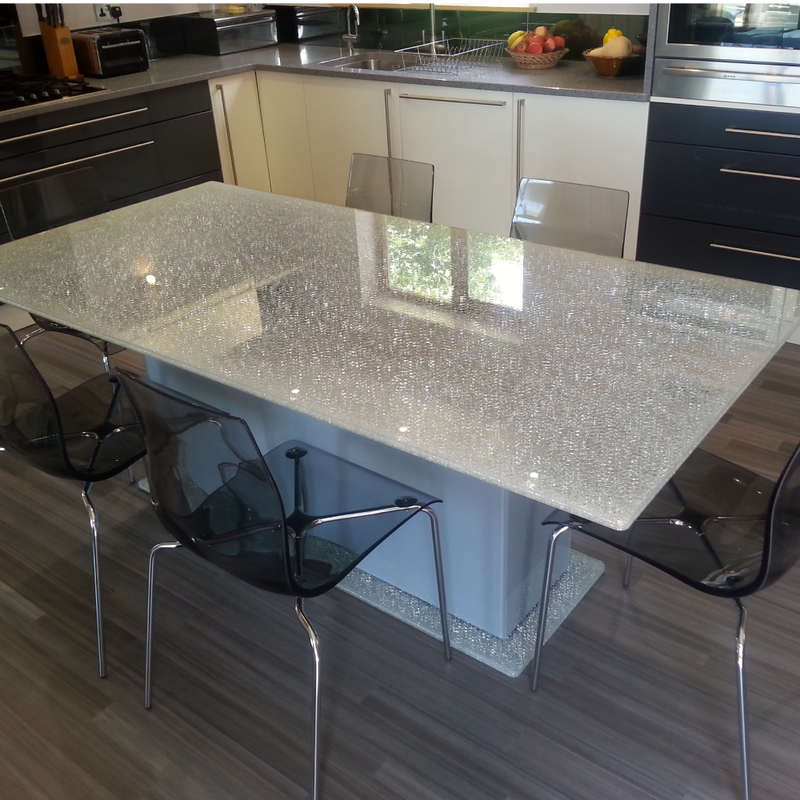 Cracked glass worktops also look great on an island within your kitchen. However if you do not have an island area in your kitchen but have plenty of room then cracked glass worktops can be applied to a base and turned into a truly unique, one of a kind cracked glass dining table. The wonderful reflective qualities of crackle glass can transform the smallest area and bring individuality to larger areas. Due to the makeup of crackle glass 12mm is the minimum thickness. Finally, one last customizable option that is open to you is the option of adding LED back lighting to accentuate the beauty of the cracked glass worktop. This is achieved by channelling into your wall where the worktop is to be fitted so that the light shines through the glass giving an effect that you just cannot create with any other type of worktop on the market today. 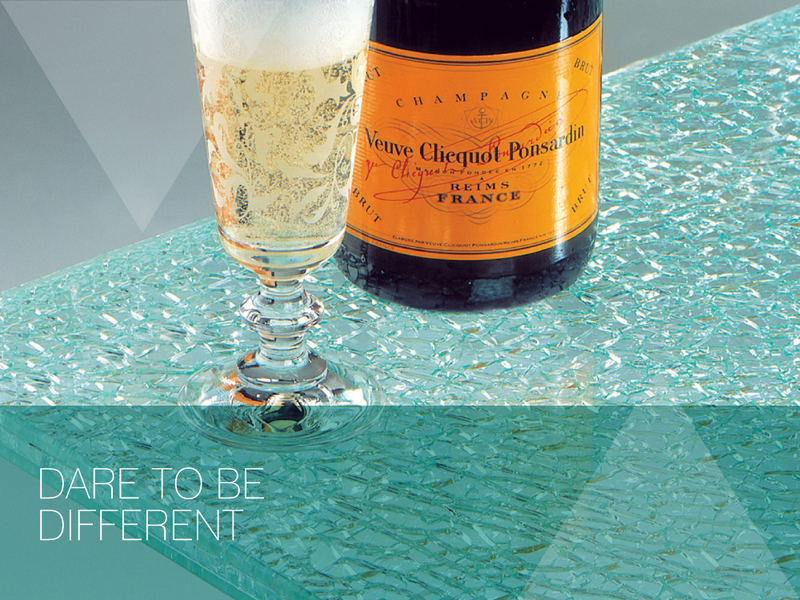 Crackle glass is ideal for Splashbacks, Worktops, Cladding, Table tops and Bars.